Mix it, Switch it…love it! Our Prairie Collection has expanded to include more furniture styles and fabrics to create a custom piece that’s absolutely perfect for your space. And the best part (other than the great styles & prices)? You’ll get it within 4 weeks! Learn more below. 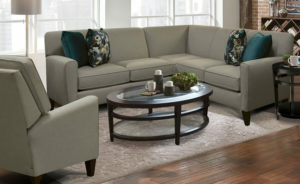 Choose from sofas, sectionals & chairs starting at just 669.97. All cushions are made using the best foam you can buy on the market: polyurethane foam. All cushions are reversible and feature a self-healing zipper, a tab pocket for the zipper to prevent from contact tears, and brass grommet air vents to prevent cushion stretching. 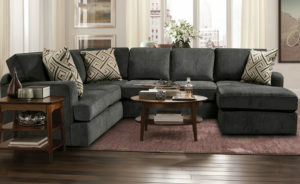 Choose from over 135 fabrics + leather. All fabrics undergo 10 areas of evaluation to insure standards of quality, strength, and durability. All Fabrics have passed and received a Medium to Heavy Duty Rating from rub testing, lasting at least 12 years with normal use. MIX IT, SWITCH IT, LOVE IT!